TICKETS WILL GO ON SALE IN MAY!!! The 4th Annual Black Women’s Health & Wellness Conference (BWHWC),Sacramento, will commence on Saturday, August 10, 2019 from 9am – 3pm, at the University of California, Davis-Education Building, [address: 4610 X Street, Sacramento, CA 95817]. Our motto is "A Healthier You! A Healthier Me! A Healthier We!" The purpose of this conference is to focus on reducing health disparities that disproportionately affect Black women by raising awareness about mental and physical health. The conference will educate attendees about the importance of maintaining a healthy lifestyle. As you KNOW! Black women in Sacramento County, have the highest prevalence of diabetes, hypertension, and are most infected by sexually transmitted infections and HIV. In addition, Black women suffer tremendously from depression and are the least likely to receive treatment. For the last three years, we have successfully outreached and served over 500 black women throughout Sacramento County by hosting our conference. 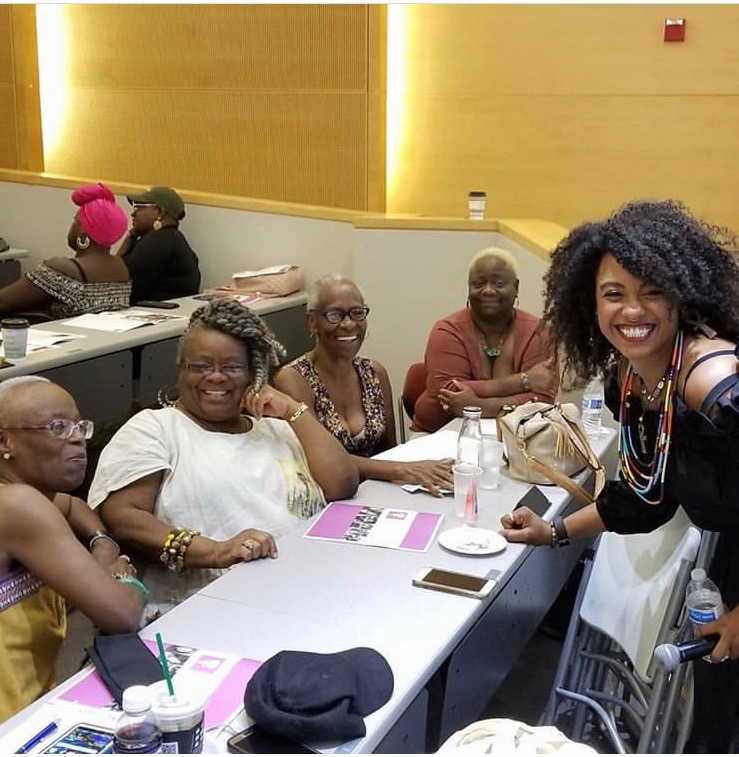 Through our annual conference, we have been able to provide a welcoming and supportive space where black women are able to engage with one another, focus on prioritizing their health. Last year we had over 200 participants who were able to increase their knowledge and awareness on sexual and mental health, and the adverse health impacts of experiencing racism and sexism. We also taught participants the meaning of self advocacy when it comes to our health and dealing with medical providers. This has been truly phenomenal due to the health disparities that Black Women face in Sacramento County. This year’s conference will focus on the need to prioritize our health and we will focus on health and aging; becoming mental health advocates; overcoming trauma; living with anxiety; and reproductive health. We will explore the health needs of Black Women from ALL backgrounds!! Come join us for a day of healing, self-care, unity, and love, while we tackle important issues that impact our health. We hope to see you at this sista reunion. Tickets will go on sale in May. Subscribe to our newsletter to get updates on ticket sales and our workshop presenters! The BWHWC is honored to have amazing host that keep the energy flowing throughout the conference. For the last three years we were honored to have Community Activist, Marianna Sousa, TV Personality Courtney Dempsey and Alondra Thompson, LCSW, host the BWHWCW, Sacramento. It was truly a blessing and the positive feedback of each host was overwhelming. We look forward to providing that same positive energy to this year’s BWHWC! BWHWC offers informative workshops that mainly focus on mental health, sexual/reproductive disparities, healthy relationships and healing from trauma. Each workshop aims to discuss health inequities and correlate our experiences as Black Women to our journey in prioritizing ourselves. We aim to discuss these topics in detail to build our self-efficacy to achieve optimal health outcomes. Workshops will take place in the morning and afternoon. Attendees have the option of participating in two of the four workshops offered. Information on our 2019 workshops will be available soon!!!! BWHWC prides itself on providing physical activities to participants each year. Last year we were honored to have the phenomonal Hundreds Unit, come out and show us how to LEVEL UP while the transformative, Breathing Space, closed us out with a relaxing and calming breathing exercise. We are excited to provided another fitness demo for 2019!!! Be ready and come prepared!!! !